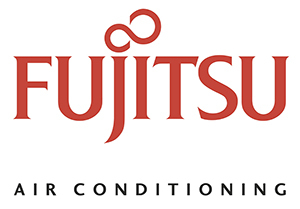 Fujitsu split air conditioning systems are a rewarding investment. They would not only assure you comfort but also save you money. Heating and cooling costs account for almost half of your electricity bill. Your water heater, refrigerator, dishwasher, washing machine and dryer, lighting and other electronics or electrical fixtures account for the other half. It is obvious you should pick the best air conditioning systems and split is the wiser choice. Fujitsu General has mini splits that have been recognized as the most energy efficient air conditioning systems. Every government around the world has minimum standards pertaining to energy efficiency. While most standards are sufficient if you consider protecting the environment and being fair to the industry, they are not ideal if you wish to save money on your electricity bill. It is not rational or acceptable to compel an entire country to buy the most advanced air conditioning system available. Most will not find it suitably affordable. Regardless of such a reality, Fujitsu ensures its mini splits are spectacularly energy efficiency. They are almost two and a half times more efficient than the minimum stipulated standard set by the government. This is not a claim but a fact as per the guidelines of the Environmental Protection Agency in the United States. Fujitsu split air conditioning systems are ductless. Some homeowners may not be aware that split systems can also come in ducts. It is not always a centralized air conditioning system that operates with ducts. The problem with ducts is loss of energy. It doesn’t matter whether it is summer or winter. Ducts will lead to loss of energy, cool air during summer and warm air during winter. This loss of energy is completely unaccounted for. It is not similar or even comparable to the loss of naturally cool or warm air as is the case with poor insulation. The loss of energy through ducts is cooled or warmed air which is meant for circulation inside your house. You have paid money and the system has done its job to cool or warm the air. You are effectively paying for the comfort that you are essentially losing through the ducts. Fujitsu split air conditioning systems have no energy loss. You would enjoy every iota of cooled air that you pay for. The outdoor and indoor units work in tandem. There is no vent or vacant space in the connecting components that will lead to loss of cool air. If you can insulate your home or a room properly then the only reasons why your cooled air will turn warmer are the scorching temperature outside and the body temperature including exhaled air of the people inside. Since Fujitsu has impeccable temperature monitoring and regulating systems, your split air conditioner will stop cooling when the desired temperature is reached and start cooling again when there is even a tiny rise in the indoor temperature. Fujitsu offers a Wi-Fi app that you can use to control the system. From selecting modes to changing the temperature settings, you can do everything without getting up and you can also make changes from another room. You may not be in your home and probably returning from work, you can turn on the system which can also be scheduled by the way and the room will be cooled just right when you walk in. This helps you to use the appliance only when you need it and not waste money on excessive cooling or operating the system when it is not necessary. Real time management of an air conditioning system will have a significant bearing on energy consumption.